Our 2 and 4 year old love Thomas the Train. Really, who DOESN’T love that cheeky little engine? We weren’t sure how long it would be before they grew out of their Thomas obsession and moved on to something else. We made a point this summer of squeezing this trip to Edaville Thomas Land Amusement Park near Boston into a long weekend. 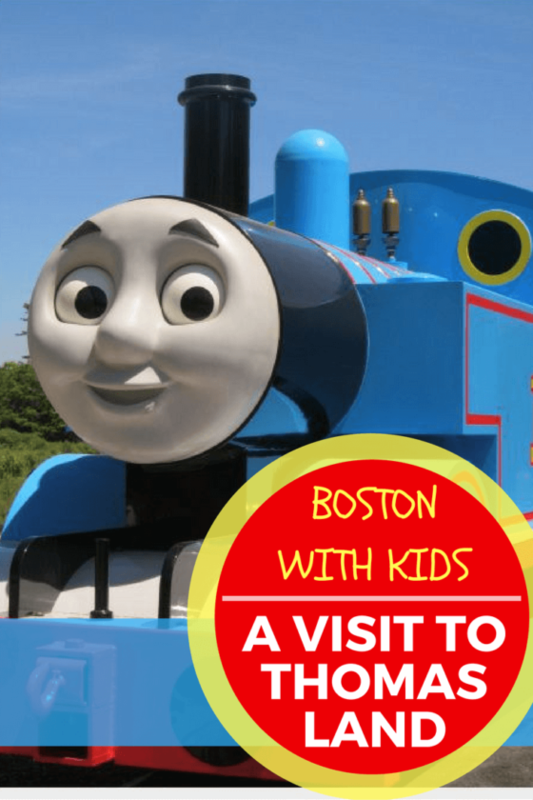 This is an easy addition to your Boston itinerary with kids. 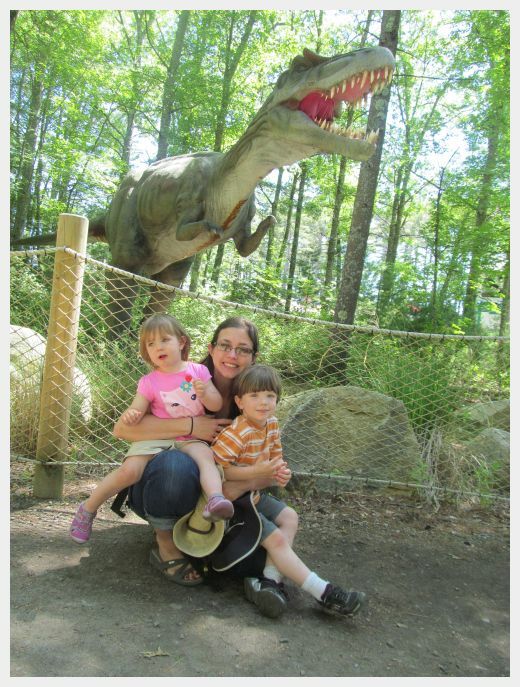 This was a great daytrip from Boston with kids. Boy, did we have a blast! The Edaville Family Theme Park with Edaville Thomas Land is located approximately one hour outside of Boston in nearby Carver, MA. You will need to rent a car. We looked and couldn’t find any public transportation options to get here. The Park is open daily throughout summer, weekends through September and October (when they have Halloween festivities for little people). In November and December, the park is turned into a magical wonderland for the Edaville Festival of Lights. You can experience a good, old fashioned Edaville railroad Christmas during this popular wintertime event. You can check the current Edaville hours here. You can check current tick prices for Edaville Thomas Land at the Edaville website. Your ticket includes entry into Thomas Land as well as TONS of other attractions and rides, so it is well worth the cost. 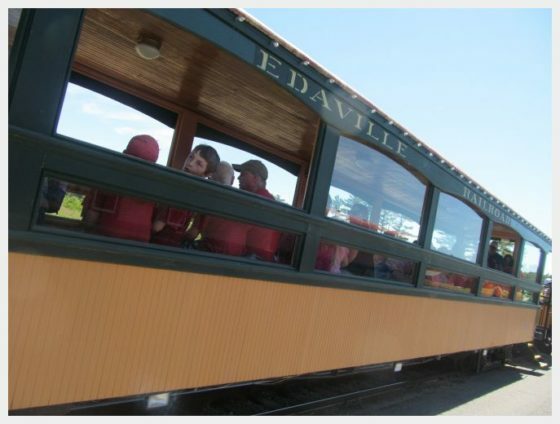 There are sometimes Edaville Railroad Discounts offered during certain days and via various outlets. Groupon and the Entertainment book periodically run specials. Check out this informative website for the most up to date Edaville discounts on this worthwhile attraction! The highlight of Edaville for us was visiting Thomasland. This is a portion of the park dedicated to rides and attractions from the popular, long running “Thomas the Tank Engine” kids show. At special times throughout the day you and the kiddos can catch a ride around Edaville Thomas Land on a train pulled by Thomas! 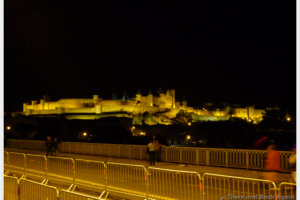 Our kids loved this and it was a cherished memory from our trip. This is also a great photo opp – get there early or stay late for pictures at the front, outside of the fence near Thomas. And what version of Sodor would be complete without Tidmouth Sheds? Edaville has its own life sized Tidmouth Sheds with familiar characters like James, Emily, Gordon and Percy. The characters come to life during an interactive show that happens throughout the day. The show includes a special visit from Sir Topham Hat. A TIP – have someone get there early and save a seat under the umbrellas if you can, or plan to have lunch there. The show gets a little long if you are sitting under the hot sun! 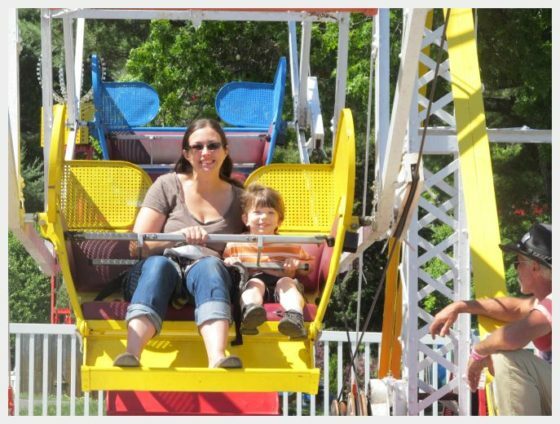 The Edaville Massachusetts park is unique in that its rides and attractions cater to toddlers. Our 4 year old could go on most of the rides. This made for less saying “no, you aren’t big enough”. Many of the rides were set up so that a parent could go with making them accessible even for our 2 year old! 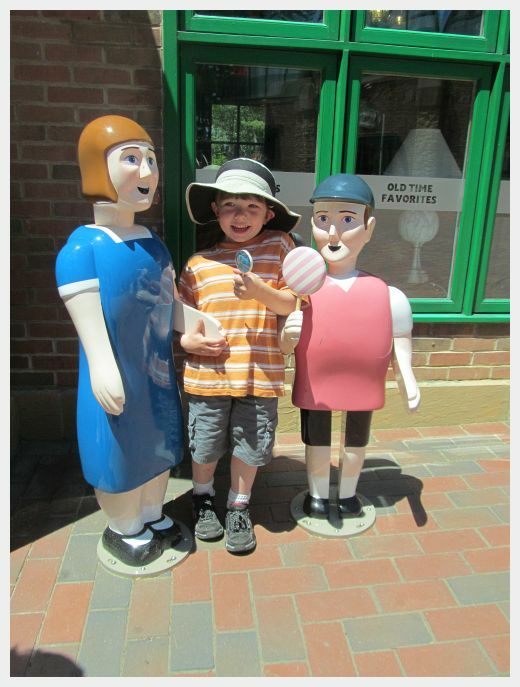 While we went to visit Thomasland, Edaville had many other parts to it that our kids really loved. 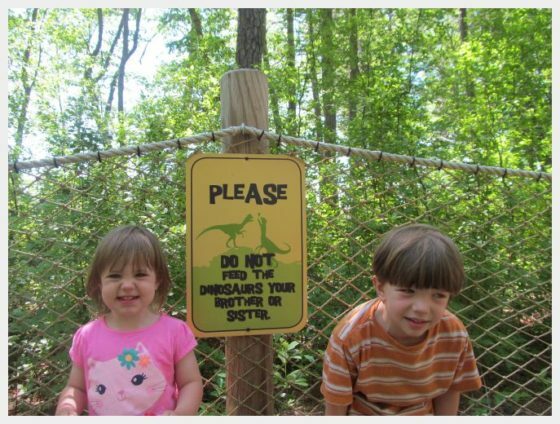 Our kiddos enjoyed the dinosaur forest. There we could walk amongst life sized, moving dinosaurs! For those with smaller toddlers and babies, there is a building called “Cran Central Junction – Elli’s Playhouse”. This is a perfect place for the tiny ones! They have “tiny” sized versions of some of the bigger rides (including an adorable, baby sized carousel). This area is indoors, making it a nice place to take a break in the afternoon if it is hot outside. 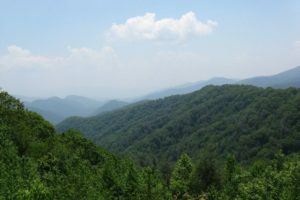 Looking for a place to stay when visiting Edaville Thomas Land? We enjoyed our stay at the Holiday Inn Express Middleboro. It was close to Edaville Thomas Land USA and provided a clean, modern place to stay with a great breakfast! Little Red Smokehouse: A family friendly barbecue joint with plentiful portions and good food. Close to the Edaville Theme Park. D’s Omelette Shop: A locally run, good old fashioned breakfast restaurant. Plentiful portions of kid friendly favorites offering good value. You might also choose to stay on the coast in nearby (and historically significant) Plymouth, MA. The Blue Spruce Motel and Townhouses: This family friendly option offers great value in this expensive area. They have a variety of rooms to accommodate a wide variety of family sizes and bed configurations. Townhouses and suites offer more space to spread out than the average hotel room. The John Carver Inn and Spa: A worthy splurge in Plymouth MA with a great waterpark! Leena’s Kitchen, Plymouth MA: A highly acclaimed local hidden gem serving a seasonal menu of entrees, lovely salads and salami and cheese platters. Sandy’s at Plymouth Beach: This would be our choice for a casual seafood restaurant on the coast. 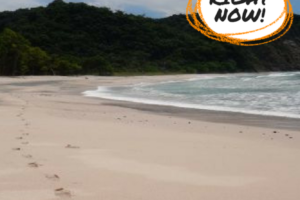 Easy going and plentiful and right on the beach (great to let the kids have a little space to run). A visit to Edaville Thomas Land is a great day trip if you are visiting Boston with kids. 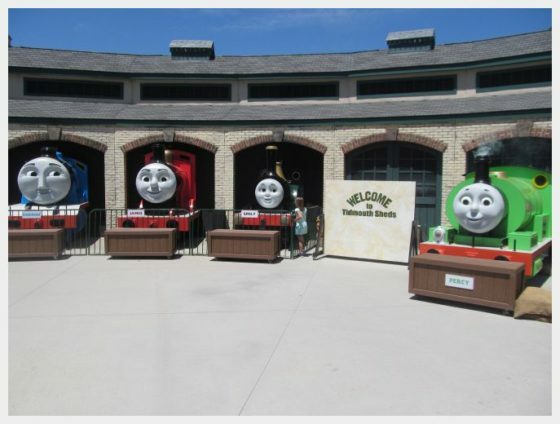 If you have little ones who love Thomas, a visit to Edaville Thomas Land will not disappoint.